Today, as we mourn the death of Mike Brown, known in the community as gentle giant bound for college with a bright and promising future, the community is in desperate need of comfort, healing and direct service. This senseless murder has sparked anger, protest and in some cases, looting and damage to area stores. The community is right to be outraged, but it should be in constructive protest (a tradition of American society). Better Family Life, Inc. (BFL) is reaching out to offer full support to Mike Brown’s family, the Ferguson community and the community at large. As long standing advocates of peaceful protest in the name of justice, BFL is opposed to the "sensless destruction.” We do, however, stand firmly with those members of the community who have kept the pressure on the authorities through consistently engaged "robust rebellion as it relates to injustice for the people." For it is only through protest inspired by "righteous indignation" that victory and justice shall prevail. Moreover, as the entire St. Louis community attempts to make sense of current civil unrest, BFL will continue to be advocates for nonviolent "Peace in the Streets," as we have for the past 30 years. With the death of Mike Brown, the Better Family Life "Put Down The Pistol" campaign has an even greater significance in this moment of historic importance. Now is the time to heal from this devastation and restore order. Toward that end, BFL will conduct community outreach to the people in and around the Canfield Apartment complex who have been impacted and traumatized by the events of the past few days. In addition, we have partnered People’s Health Centers, local clergy and other community organizations to bring needed services to the community. Today commencing at 1:00p.m., a 40ft. medical mobile unit be placed on the parking lot of the Original Red's Barbecue Restaurant, located at 9300 West Florissant. The unit will be staffed with medical personnel, psychologists, BFL's Community Outreach staff and BFL's Youth, Family & Clinical Services staff. (see the attached flyer) This effort will culminate at PeaceFest on Sunday August 24, 2014 in Forest Park. Our goal is to sustain these medical and clinical services until the crisis subsides and the pain of the community is suffering is neutralized. (KTVI)- Amidst the violence, looting and outrage, cooler heads prevail. James Clark with Better Family Life sends a message to the communities who are still feeling rage following the shooting death of Michael Brown. Better Family Life is the community outreach group that transforms at-risk individuals and reclaims high-crime communities. Better Family Life’s Vice President of Community Outreach James Clark is calling for community engagement in the aftermath of 18 year old Michael Brown’s death. Brown was unarmed and shot and killed by a Ferguson police officer Saturday afternoon. The FBI has confirmed its involvement in the investigation of Brown’s death. Monday evening, more than 600 people filled Murchison Tabernacle CME Church to hear Clark, members of clergy, the national NAACP president as well as other local leaders respond to the shooting. The Town Hall Meeting was moderated by Kenny Murdock of WGNU Murdock Report. Clark says the black community is grieving and needs resources to help them through this period of urban unrest. Brown was shot by the unnamed Ferguson police officer while walking with a friend down the center of the street. Police allege a scuffle broke out after the officer asked the boys to move to the side. Witnesses say both Brown's arms were in the air--in a sign of surrender--as the Caucasian policeman repeatedly shot the young black teen. Vigils were held in honor of Brown who was set to attend college this week. Emotions continue to run high in the city as angry crowds looted stores, a local mall and set fire to a Quik Trip gas station. 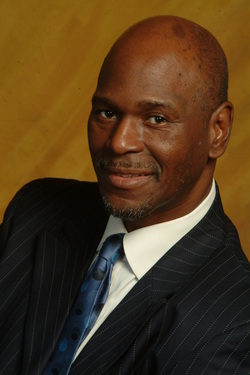 The civil rights attorney for Trayvon Martin’s family, Benjamin Crump, has agreed to represent Brown’s family in court. On Tuesday, civil rights activist Al Sharpton traveled to St Louis to formally lend his support to the youth’s family. Established in 1983, Better Family Life, Inc. (BFL) is a 501c3 non-profit community development corporation that is dedicated to the prosperity and growth of the American family. BFL’s mission is to plan and establish social, cultural, artistic, youth, economic, housing, educational, and clinical/wellness programs that help to promote positive and innovative changes within the metropolitan St. Louis community. Much of BFL’s programming is geared toward people who are unemployed, underemployed, disadvantaged and skill-deficient. Better Family Life took residence in its new headquarters, The Better Family Life Cultural, Educational and Business Center, a world class institution, 5415 Page Blvd., St. Louis, Missouri 63112 in 2013. For more information about BFL, please visit: www.betterfamilylife.org.